- June 26, 2007: Farida Nekzad, editor of Afghanistan's independent news agency Pajhwok, receives death threats on her cell phone during the funeral of a fellow female journalist, Zakia Zaki, who was slain by gunmen earlier in the month. - June 6, 2007: Zaki, owner and manager of Peace Radio in Afghanistan, is gunned down in front of her 8-year-old son inside her house in northern Parwan province. Zaki had been critical of local warlords, who had warned her about the station's content. - June 1, 2007: Shokiba Sanga Amaaj, a newscaster for private Shamdhad TV, is shot in the back inside her house in Kabul. - May 21, 2007: Afghanistan's lower house of parliament votes to oust outspoken female lawmaker, Malalai Joya, who enraged former mujahedeen fighters now in President Hamid Karzai's U.S.-backed government when she compared the parliament to a stable full of animals in a TV interview. In May 2006, Joya said she couldn't keep track of the number of death threats she'd received since her first speech to the constitutional council in 2003. - Dec. 9, 2006: Taliban militants break into a house and fatally shoot two female teachers and three other family members, bringing to 20 the number of educators slain in attacks in Afghanistan at that point in 2006. The teachers, who were sisters, had been warned in a letter from the Taliban to quit teaching. 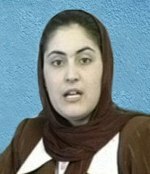 - Sept. 25, 2006: Safia Ama Jan, the southern provincial head of Afghanistan's Ministry of Women's Affairs, is slain outside the front gate of her Kandahar home as she is walking to her office. Ama Jan was known for being an active proponent of women's rights and education. - July 3, 2006: A small explosion goes off in a women's English class at Herat University, wounding eight female college students. 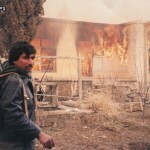 - June 23, 2005: Armed men break into a girls' school south of Kabul and set it on fire. 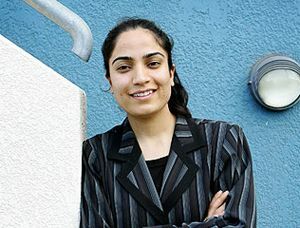 - May 18, 2005: Shaima Rezayee, 24, who replaced her burqa with Western-style dress and became a host on an MTV-style music show, is shot in the head at her Kabul home. - June 26, 2004: A bomb tears through a bus carrying female election workers on their way to register women for the country's first post-Taliban vote, killing two of them and wounding 13 others. The United Nations documented 2,777 civilian deaths in 2010, which it said was a 15 percent rise over the number killed in fighting the previous year.